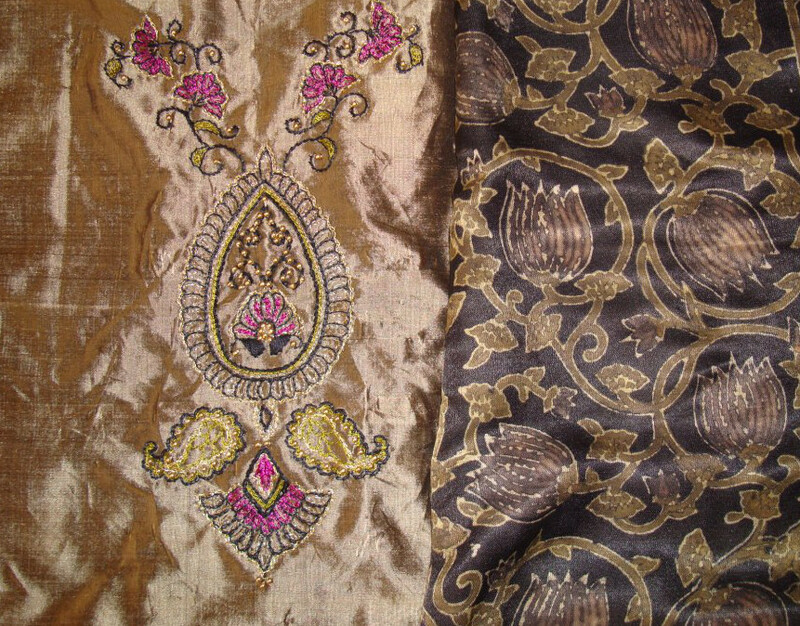 A silk fabric in antique gold colour was bought to match with this stole, my sister in law chose this. 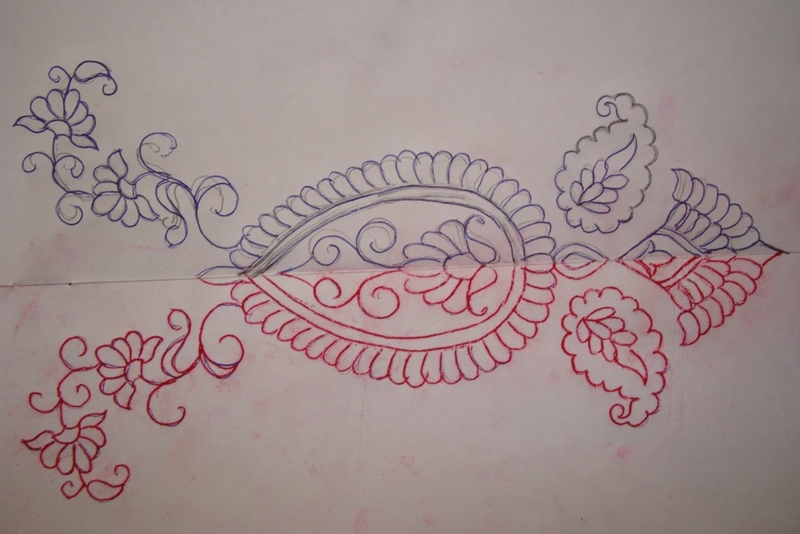 I drew a traditional Indian pattern for this. The idea was to work gold metallic thread, beads and zardosi tubes on this pattern. 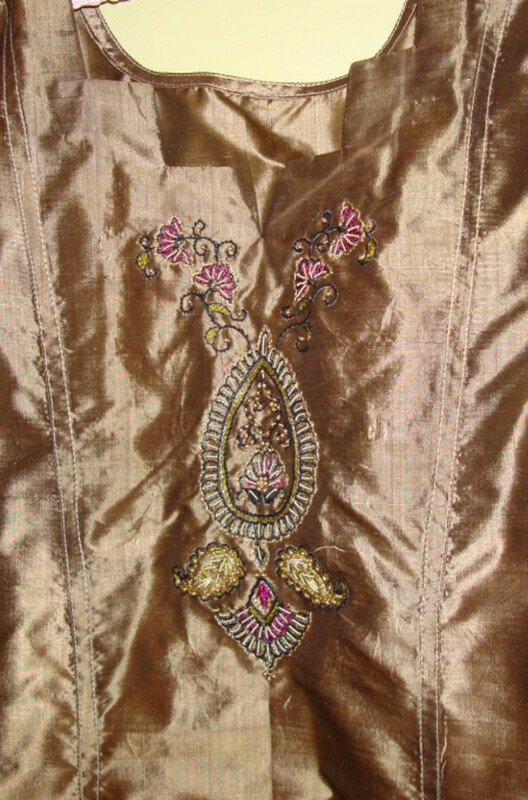 Black, green and pink colour threads were used for embroidery. 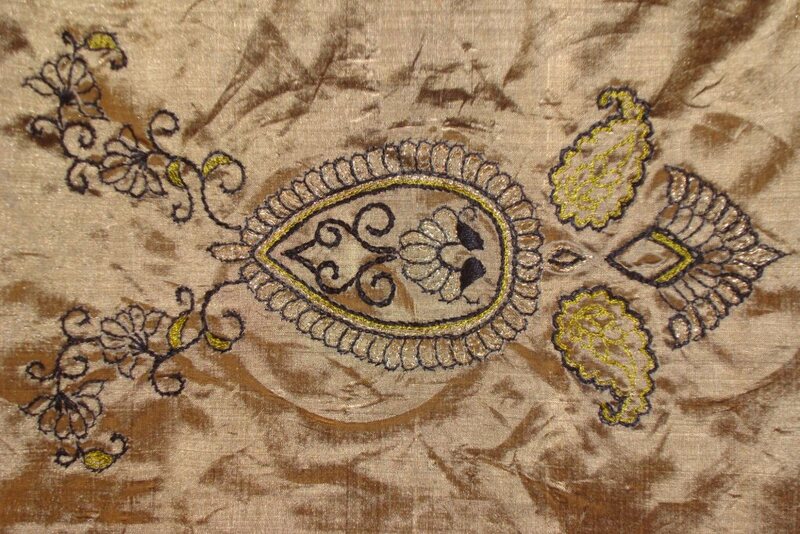 The embroidery was worked with back stitches, chain stitches, stem stitch fillings and bead stitches. 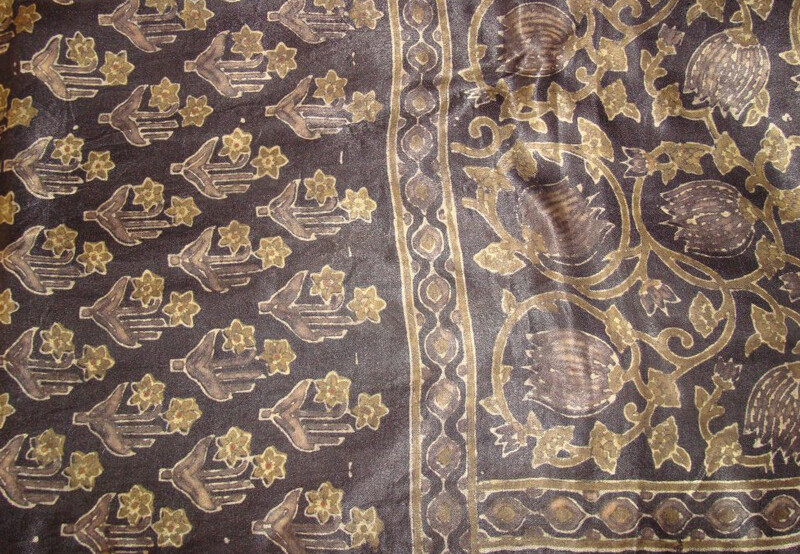 The zardosi work done on this tunic is very minimal. This work is the mixture of thread embroidery, metallic thread , beads and zardosi beads. 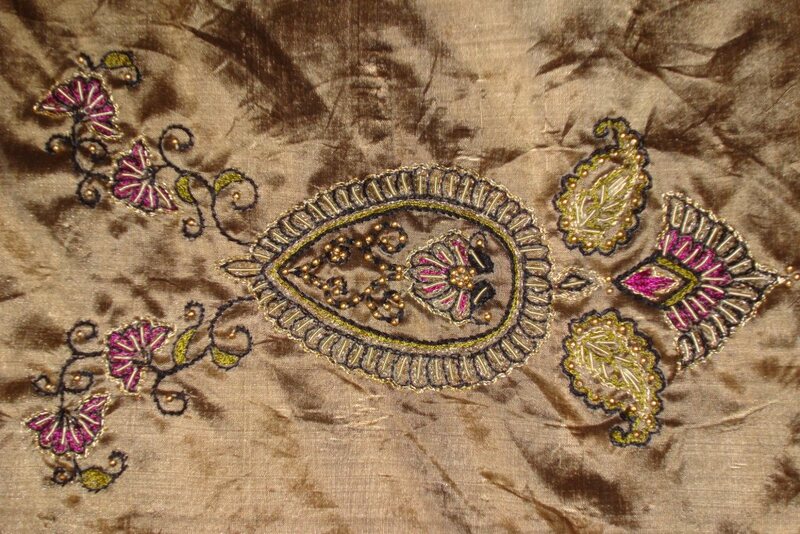 The traditional Indian patterns lend themselves to zardosi work. The tunic is worn with black salwar.